A strong red sable female with lovely head type. Uva is a large bodied female with solid working conformation. This female is substantial in bone and is a self sure and confident female with very good protection qualities. Possessing a loving and warm temperament, she easily passes this quality along into her offspring due to her patient, caring nature as a mother. 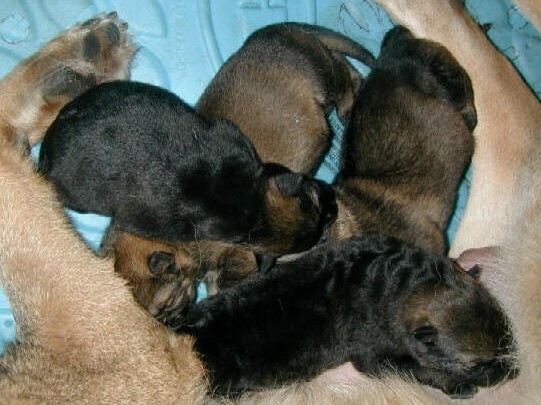 Uva has proven her ability to pass along her incredible working drive and love for the work into her offspring, as well as strong head type, substantial bone, hardness and defensive drive producing pups which demonstrate high prey / ball drive. Uva inherits and instills into her progeny the incredible, hard and precise protection and tracking abilities from her World Renown father, Norbo Ben Ju the highly acclaimed, heavily titled 6 Time world team competitor. 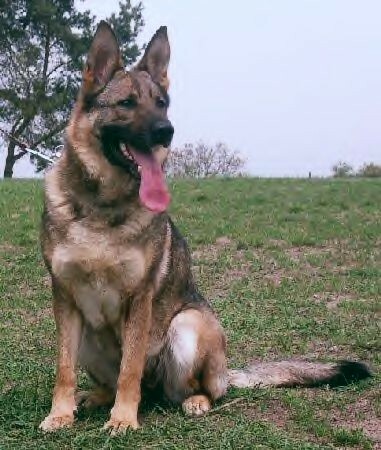 UVA is daughter of the famous stud dog NORBO Ben-Ju and famous mother NORA z Jirkova dvora. Nora z Jirkova Dvora, was known for her exceptional hardness and was notable in both tracking and protection. UVA has imposing strong bones, strong head and high working drive. UVA loves to work, her favorite discipline is protection. Her protection is very strong and fast, her bites are full and hard. 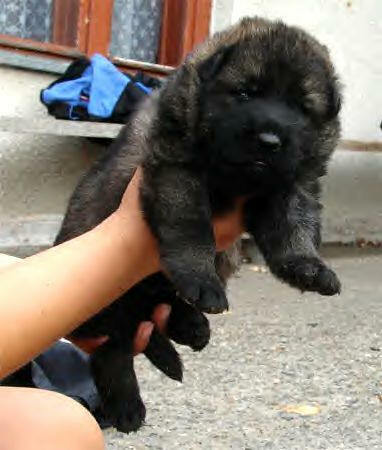 We expect that she will give her puppies health, hardness and high working drives. 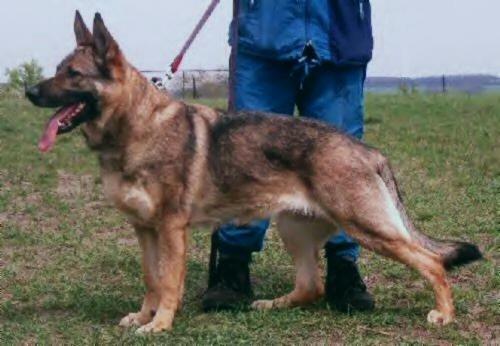 Uva was previously owned by Jiri Novotny, the Former Head of Genetics for the World Renown Government owned facility, "Pohranicni Straze", and Uva has been utilized within his kennel with great success as an excellent breeding female for his program. 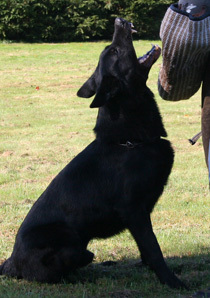 We are honored to have this very strong female as an important addition to our Breeding Program at Schraderhaus K9.